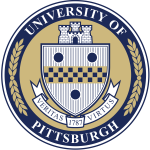 A handful of competitive scholarships are provided by the Center and are available to University of Pittsburgh undergraduate/ graduate students who are interested in attending local mindfulness based trainings, workshops or retreats. Open a pdf file for more information. Pittsburgh Integrative Mental Health provide counseling and consultation on a range of mental health issues for individuals, couples, and families. UPMC Mindfulness Program aims to develop skills that can be flexibly applied in everyday life to stress, pain, and illness. American Mindfulness Research Association serves as a professional resource to the sciences and humanities, practice communities, and the broader public on mindfulness from the perspective of contemplative practice. Chiang Ching-kuo Foundation for International Scholarly Exchange provides funding all over the world for various research and academic programs. John Templeton Foundation serves as a philanthropic catalyst for discoveries relating to the Big Questions of human purpose and ultimate reality. Kalliopeia Foundation is a private grant-making foundation that contributes to the evolution of communities and cultures that honor the unity at the heart of life’s astounding diversity. Mind & Live Institute is a non-profit organization committed to building a scientific understanding of the mind as a way to help reduce suffering and promote human flourishing. National Center for Complementary and Integrative Health is the Federal Government’s leading agency for scientific research on complementary and integrative health approaches.